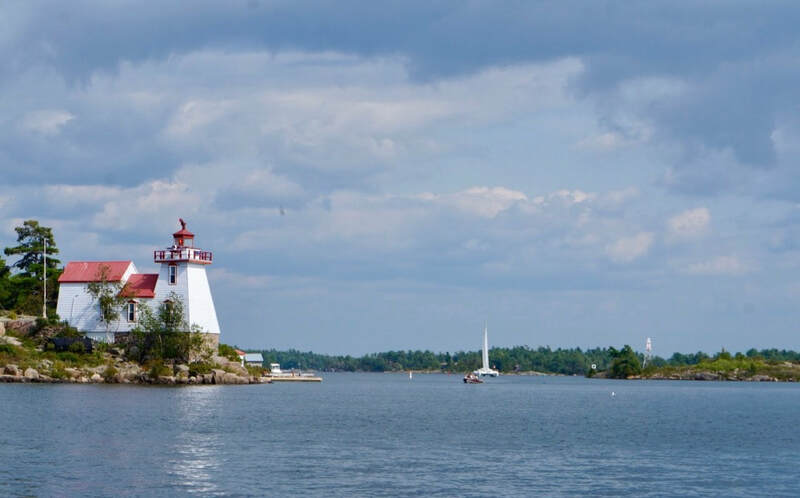 As you drive up Highway 69 to Parry Sound in Ontario, there is a feeling of leaving behind the pressures of modern life. 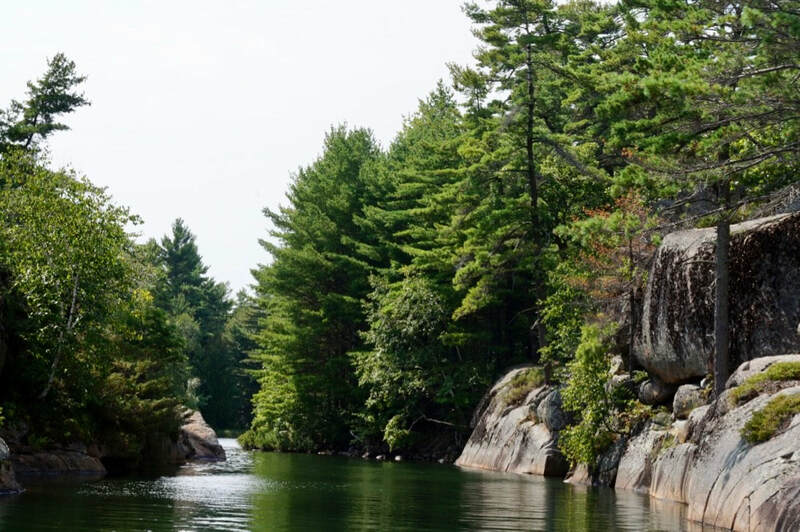 You have begun to enter the world of endless forests, rugged rock formation and magnificent cuts through the Canadian shield as it creeps north to Georgian Bay. The use of the word bay gives a picture of smallness, of a little enclave of cottages on a major lake but in the style of Canada, Georgian Bay is huge. Crowded on its shore are over 30,00 islands creating stunning views from either the huge tourist passenger cruise boat or the small cottage craft that dash into small openings and spring out the other side like angry sea snakes. It is truly beautiful and gives an instant sense of the huge wilderness that begins here and stretches to the arctic. Georgian Bay's story is told in a beautiful legend of Kitchikewana whose large statue in Penetanguishene still looms over the Bay. As the legend goes in Wikipedia, Kitchekewana, the god guarding Georgian Bay was of a temper that concerned his tribe who then decided that the only way to calm him was to get him a wife. So, they held a grand celebration inviting the women in the area. In this celebration, one of the women, Wanakita, caught the attention of Kitchikewana who decided to marry her but when invited back, Wanakita said that she was already engaged. Enraged, Kitchikewana, grabbing a large ball of earth run to the end of Beausoleil Island and tossed the ball to the great lakes. Thus, was created the 30,000 islands. 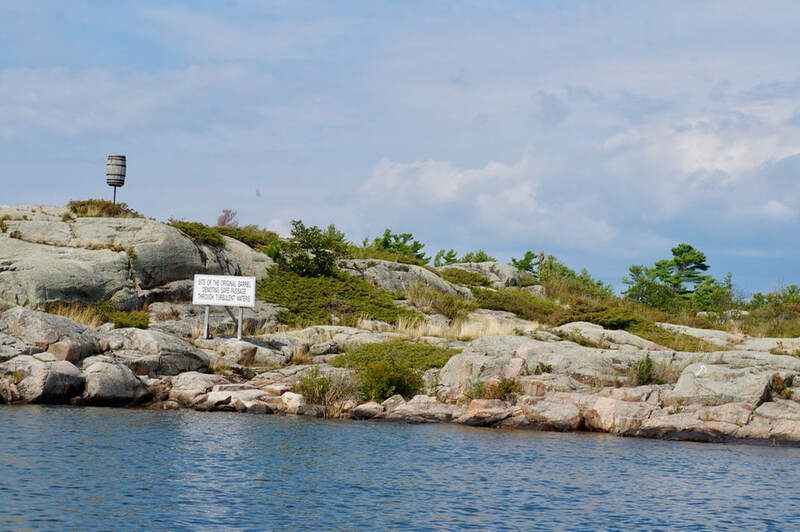 It is also said that the indentations left behind by Kitchiikewana's fingers form the five bays of Georgian Bay: Midland Bay, Penetang Bay, Hog Bay, Sturgeon Bay, and Matchedash Bay. He, then, lay down to sleep as Giant's Tomb Island. One of Canada's national treasures, Georgian Bay Islands National Park offers a 14 square kilometres of the rugged beauty of the Canadian shield. Looking at a barrel stuck on top of a long pole does not seem like an impressive experience but a hundred years ago when fishermen were all out into the bay and the fog come in, there was no way to find home. ​A huge fire built on the barrel would flicker through the fog to the relief of those in boats with loads of fish to get to market. Most of us come up to the Georgian Bay are from cities and hence, were really accustomed to the ability of raccoons and porcupines and skunks to adjust to the urban environment. Northern birds and animals are gradually accommodating our intrusion into their environment although with a much more stand offish reluctance than the hedged life in the city who sees our verandahs as their new homes, crannies and attics. ​In the water and in the forest, a host of creatures from the smallest mouse up to the chipmunks and fishers and wolves, cats and deer a reluctant sharing pattern seems to be emerging. 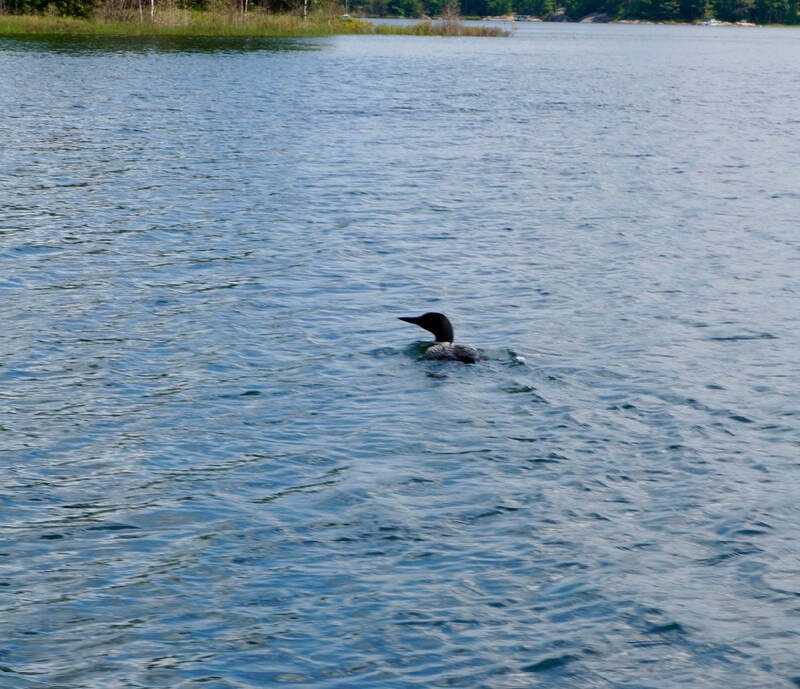 The loon in the photo is ensuring that the distance between the boat and him remains constant but is not diving or flying, just watching. 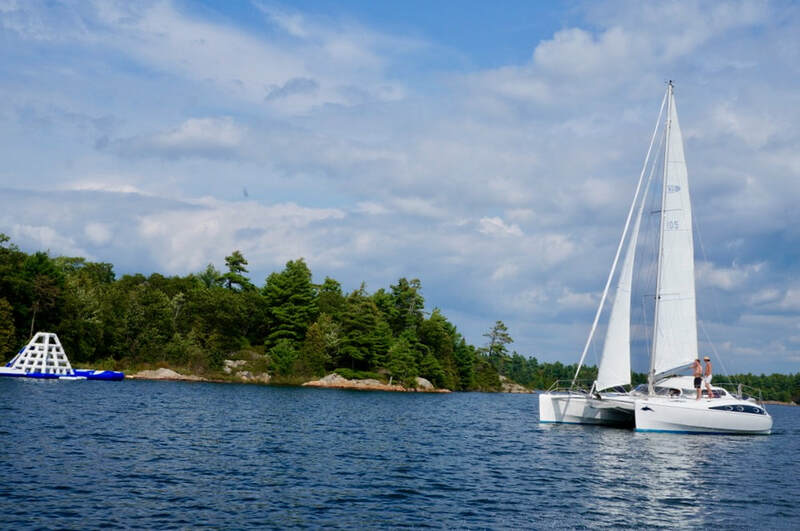 The small craft experience in Georgian Bay is a revelation for small lake cottagers from Muskoka. 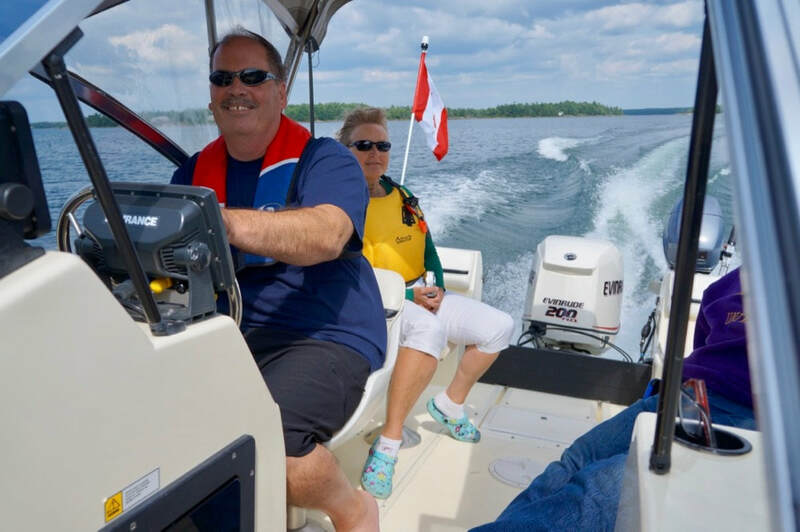 Boats that work well on our small lakes are generally thought of as unsafe for the Bay. Seeing these near Great Lake waters as an ocean without salt is probably the best way to guide boat selection. Deep V-hauls and 20-ft lengths with 2 significant outboards seem to be the minimum way to go. Given the swells that can build up here and the distance people go from land, anything smaller is a bit of a hazard. 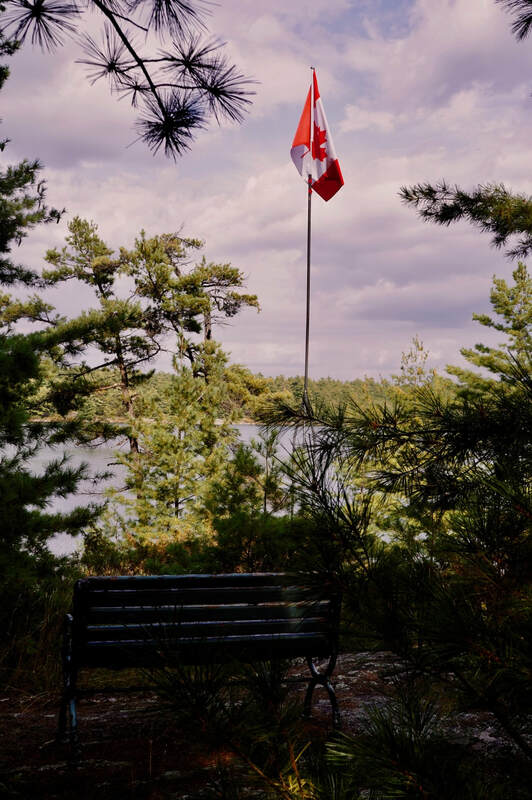 As many visitors say, Georgian Bay is a land of infinite dreams so take time and also enjoy the calm and serenity of this nature paradise. Find a bench and just let your dreams go wild.